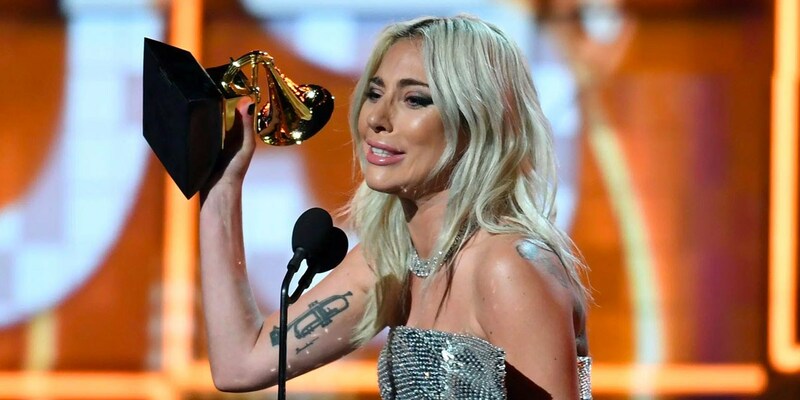 Lady Gaga had a big night at the 2019 Grammy Awards, taking home three awards, including Best Pop/Duo Performance for "Shallow." Gaga used her speech to address the mental health themes of A Star Is Born, and encouraged the audience to take of each other and seek help if they need it. "I'm so proud to be part of a movie that addresses mental health issues, they're so important," she said. "A lot of artists deal with that. And we got to take care of each other." She continued: "If you see somebody that is hurting, don’t look away. And if you are hurting, even though it might be hard, try to find that bravery within yourself to dive deep and go tell somebody and take them up in your head with you."